hundreds of people he met in the neighborhoods of my various job sites. he went. Happy mobs of children routinely flocked to him. 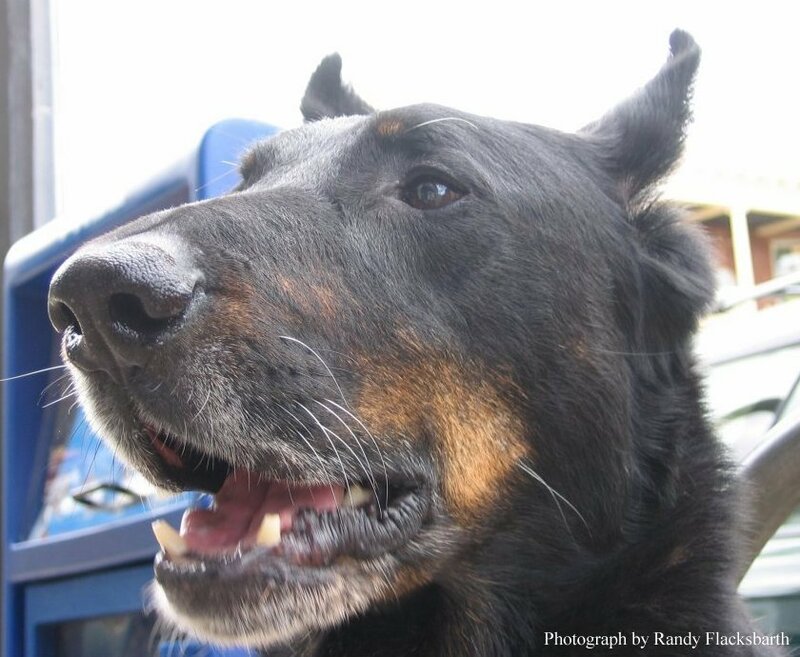 We make videos of our pets in order to help us remember what good lives they had. 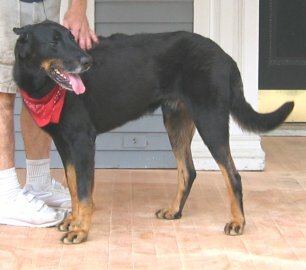 Jester was a very public dog, so he's been given this website with his videos. 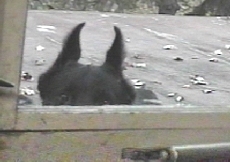 out of the corner of my eye, I saw a "wolf like"
120 pound ball of black fur headed right at me! ferocious looking and massive jaws. Jester froze too. Then, to my temporary relief, he turned and dashed off. his "throw toy" in his mouth! He wanted me to PLAY! young, playful and endlessly patient with our boys. a therapeutic presence just by being himself. 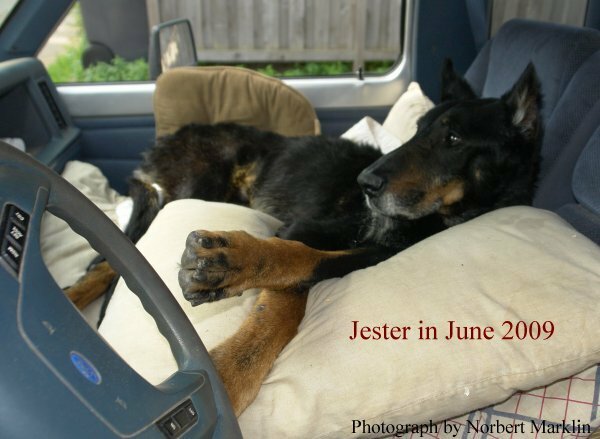 How good a dog was Jester? Click here. then click on a "streaming" link below. 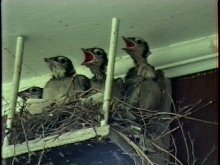 and the cabin videos .. and the rest ..
2 minute music video from 1996.